Today I set out on a quest to make my first article of clothing, a long sleeve t shirt inspired by a Filson Alaskan Guide shirt made out of heavy weight cotton flannel. I am going around to fabric stores today to find suitable materials. 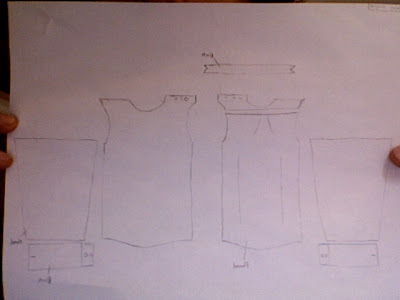 I am sure a lot of trial and error will ensue and I will keep the blog updated. Here is a rough design that i drew up last night.